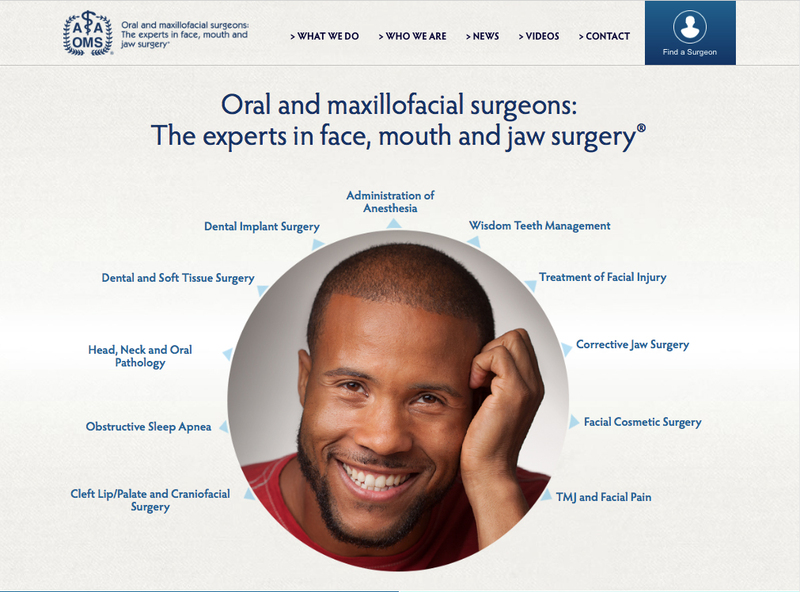 A national campaign launched by the American Association of Oral and Maxillofacial Surgeons (AAOMS) to inform the public of the training, skills and expertise of oral and maxillofacial surgeons has been honored with 26 awards in the past year. The AAOMS Informational Campaign was recognized for its overall campaign, educational videos, consumer website and public service announcements (PSAs) in nine national and international communications, publications and digital awards competitions. The goal of the AAOMS campaign is to 1) increase the public perception of the OMS scope of practice, 2) inform prospective patients of OMS education and training, and 3) convey the specialty’s contributions to public health. The campaign has been successful in all three areas through the development of a consumer-facing website (MyOMS.org), a series of educational videos, digital and print advertising, and PSAs focusing on oral cancer and obstructive sleep apnea. APEX – An Award for Publication Excellence in the Health and Medical Campaign category. Aster Awards – Two Gold Awards for the overall campaign in the Surgical Services Promotional Campaign category and for the MyOMS.org website design. Cancer Awareness Advertising Awards – Two Gold Awards for the “Are you at risk for oral cancer?” PSA and the oral cancer print ad. dotCOMM – A Platinum Award in the Digital Branding and Marketing category and two Gold Awards for MyOMS.org in the Medical and Association categories. eHealthcare Leadership Awards – A Silver Award for the Best Marketing Campaign in the Healthcare Association category. The award was given for AAOMS’s focus on highlighting the role of the internet – including Google AdWords, YouTube and Vimeo videos, the MyOMS.org website and social media. Healthcare Advertising Awards – A Gold Award for the “What is an OMS?” video and a Bronze Award for the MyOMS.org website. Hermes Creative Awards – Two Platinum Awards for the overall campaign in the Public Relations and Communications/Marketing campaign categories; a Platinum Award for the “What is an OMS?” video in the Nonprofit Video category; four Gold Awards for the “Dental Implant Surgery” video in the Educational Video category, the “Are you at risk for oral cancer?” video in the TV PSA category, and the MyOMS.org website in the Association Website and Medical Website categories; and two Honorable Mentions for the “Wisdom Teeth Management” video and the oral cancer PSA in the Educational Video category. MarCom Awards – Two Platinum Awards for the overall campaign in the Marketing/Promotion Campaign category and the MyOMS.org website in the Association Website category and one Gold Award for the “Are you at risk for oral cancer” PSA in the Broadcast/Cable TV Video category. Videographer Awards – Two Excellence Awards for the “What is an OMS?” video and the “Obstructive Sleep Apnea” PSA and a Distinction Award for the “Are you at risk for oral cancer?” PSA. The Videographer Awards is an international awards program that honors talented video production.